The Inca Trail leading to the fortress city of Machu Picchu is simply one of the most amazing hikes you will ever experience. 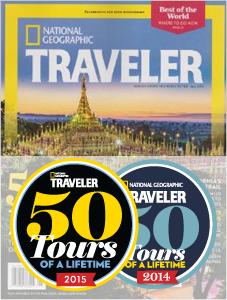 This multi-day trek brings tens of thousands of travelers to Peru annually, and is quickly becoming one of the world’s most popular travel destinations. Global Basecamps Peru tours travelers are a different breed, however! More and more of our clients are returning to Peru for the second and third time. For some, Machu Picchu is not just a once in a lifetime experience, but a twice and thrice! 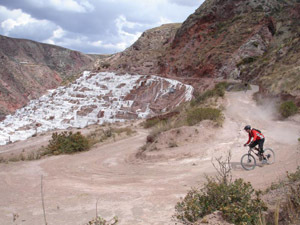 And for others, they’ve realized that Peru has multitudes of activities to offer that don’t involve the Inca Trail. Along this train of thought, Global Basecamps would like to officially introduce a few trips in Peru that you almost surely have never heard of before. Our trips to Peru are the perfect way to introduce younger members of your clan to adventure travel, while keeping parents and grandparents just as active. Before a short Inca Trail to Machu Picchu, you will enjoy whitewater rafting down the Rio Urubamba, horseback riding around local Inca ruins, and mountain biking through the Sacred Valley’s salt pans. Our Trek to Espiritu Pampa lets intrepid hikers get away from the mass crowds of Machu Picchu, and venture to what has been universally agreed to be the last city of the Incas. In 2012, less than 250 people visited this site, partly due to the five day, technical hike that precedes it. Past hikers have described this journey as feeling like an actual exploration, like they are discovering these ruins and trails for the first time. 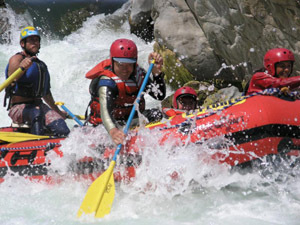 Our Wilderness, Wildlife and Wildwater trip is an eleven day whitewater epic adventure. You will begin near Lake Titicaca, one of the highest freshwater lakes in the world, and proceed down the Rio Tambopata until you reach the Amazon rainforests. This ultimate jungle experience will disconnect you from the outside world as it connects you to a world of wilderness and nature unlike anywhere else on the planet. Prepare to fall off the grid. Our Sacred Valley Single Track Cycling adventure has taken years of researching the most exhilarating mountain bike paths in and around the Sacred Valley of the Incas. This is a completely different way to explore the area, and as you speed your way through a combination of Inca ruins, salt pans, and mountain passes, you will begin to learn why. Did you enjoy this post? Check out our free guide to hiking the Inca Trail by clicking below! It has all the information you'll need to get the most out of your trek.